Attractive detached modern village house 1 ½ miles from Barnard Castle. The property benefits from double glazing and oil fired central heating.The ground floor comprises: sitting room, conservatory, fully fitted kitchen, WC. 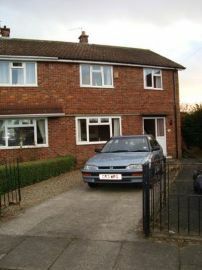 3-bed semi detached dwelling. Within close proximity to all local amenities including schools, shops etc.